The new generation Maruti Suzuki Dzire turned out be a major step up over the previous generation version, featuring a completely new platform, design and features over the predecessor, and took the 2018 CNB subcompact car of the year award home. This year we saw Maruti Suzuki bring in the second generation of the Dzire subcompact sedan and there were a lot of expectations from it. While its predecessor was the highest selling car in its segment ever since it was launched, it was always criticised for the way it looked post the D-pillar. However, with the new generation, Maruti Suzuki has made sure that it doesn't look like a hatch-converted-into- a-sedan. The new generation looks stunning and yes more like a sedan and that's just one of the many reasons why it won the 2018 CNB subcompact car of the year. Early this year in May, the carmaker launched the new-gen Dzire in the country which has further increased the numbers for the company. It's been just about 5 months since the launch of the car, and the company has already retailed over 95,000 units of the new Maruti Suzuki Dzire. In fact, thanks to the festive season, the sales of the new Dzire has increased three folds compare to the month it was launched and in the September and October alone the company sold over 60,000 units of the car in India. In fact the popularity shows on the waiting period too as it currently stands at 3 months. The new model is based on the carmaker's new HEARTECT design philosophy and looks a lot sleeker and well-designed. 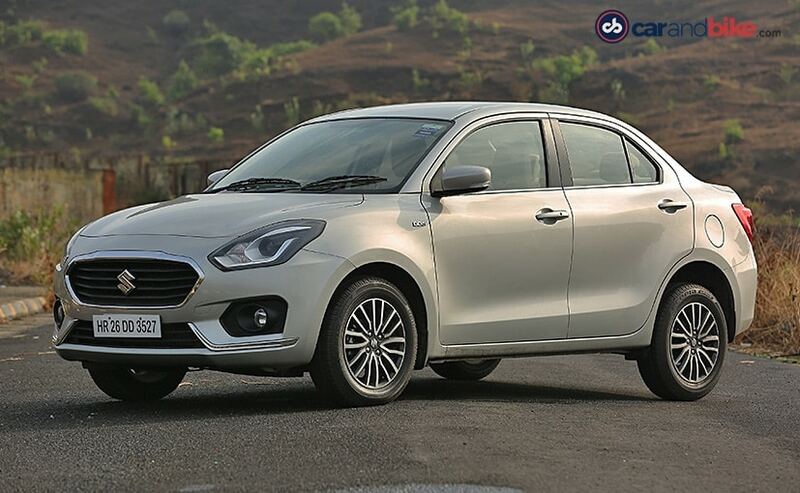 Courtesy of the new platform, the new Dzire has also been able to shed about 105 kg compared to its predecessor and at the same time, it has also become more rigid. The feature list is also pretty impressive with offerings like - touchscreen infotainment system with Apple CarPlay, Android Auto, and MirrorLink supports and more. On the safety front, the car comes with dual airbags, ABS with EBD, brake assist and ISOFIX child seat mounts as standard across its trim levels. Under the hood, the Maruti Suzuki Dzire gets the 1.2-litre K-Series petrol engine and the 1.3-litre DDiS diesel motor. The petrol unit makes about 82 bhp and develops 113 Nm of peak torque, while the oil burner makes 74 bhp and 190 Nm of peak torque. Now, both the versions come mated to a 5-speed manual gearbox and an optional Automated Manual Transmission (AMT) variant.